Hello Dramatics! I am back again with another DramaFever Drama Club review for the drama Romantic Doctor! If you want to know what June, Wendilynn and I thought about the latest episodes, click here:Episodes 15-18. Also check out our reviews on Episodes 1 & 2, Episodes 3-6 Episodes 7-10 Episodes 11-12 and Episosdes 13 & 14 Don’t forget to check out my You Tube Channel for updates and reviews. Let me know what you think of this drama! Leave a comment below and lets chat! Until next time Dramatics, remember to Keep Calm And Drama On! Hello Dramatics! I am back again with another DramaFever Drama Club review for the drama Romantic Doctor! If you want to know what June, Wendilynn and I thought about the latest episodes, click here:Episodes 13-14. Also check out our reviews on Episodes 1 & 2, Episodes 3-6 Episodes 7-10 and Episodes 11-12 Don’t forget to check out my You Tube Channel for updates and reviews. Let me know what you think of this drama! Leave a comment below and lets chat! Until next time Dramatics, remember to Keep Calm And Drama On! Hello Dramatics! Your favorite Drama Queen is back with another exciting drama preview! I am happy to announce that I will be reviewing the exciting and intense drama Voice for DramaFever! Voice is a intense crime Korean Drama that stars Jang Hyuk and Lee Ha Na as two detectives on a mission to track down murderers and save victims lives. Synopsis (From DramaFever): When two detectives lives are both devastated by the same serial killer, they decide to combine their special skills to track him down, rescue his victims, and make sure justice is served. Kang Kwon Joo (Lee Ha Na) is a genius voice profiler who uses her heightened sense of hearing to pick up clues other detectives don’t notice. Moo Jin Hyuk (Jang Hyuk) is a “mad dog” former violent crimes detective who is now a police call center dispatcher. Will her unique skills and his raw determination be enough to stop the criminal who murdered her father and his wife before more innocent people are killed? Judging by the posters and trailer this is drama is bound to keep viewers on the edge of ther seats! Voice premiers on DramaFever Janurary 16th 2017. Are you as excited as I am to watch? Leave a comment below and let me know what you think! Remember I will be reiewing this drama for DramaFever so check back here for me reviews! 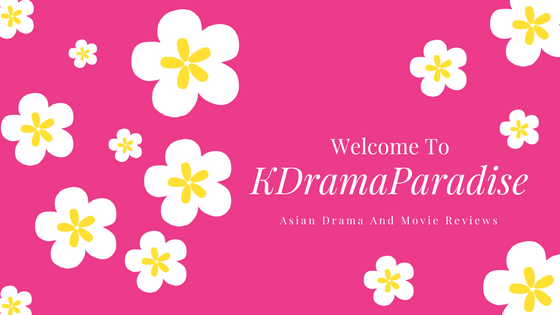 Don’t forget to follow me on my You Tube Channel for Asian Drama reviews and much more. Until next time Dramatics! Remember To Keep Calm And Drama On! 2016 was a amazing year for Asian Dramas. With blockbuster hits such as Decendants Of The Sun, Scarlet Heart: Ryeo, Doctor Crush, and Goblin kept drama fans all over the world buzzing with excitement. As we enter the new year, more dramas will be coming soon to keep viewers excited. Below are some of the amazing Asian Dramas premiering in 2017. Synopsis: Li Hui Zhen (Dilraba Dilmurat) used to be gorgeous, but years of declining family fortune added much pain to her life, and her looks slowly drifted away. Her friend Bai Hao Xuan (Peter Sheng), on the other hand, was once an ordinary looking guy and grew up to be suave, successful, and immensely likable. So when she comes across him years later and witnesses their reversal of fortune, Li Hui Zhen is too embarrassed to even meet him and instead asks her stylish friend and roommate Xia Qiao (Li Xi Rui) to assume her identity. However, that amazing plan also has a problem in that Bai Hao Xuan is actually Li Hui Zhen’s boss, and she now has to pretend to be someone else while working for him. Slowly, even without knowing who she is, the two grow closer, which becomes a problem because he, well, doesn’t know who she is. Plus, our lead lady’s supervisor Lin Yi Mu (Zhang Bin Bin, in what many considered the scene-stealing performance of the original version by Siwon) also seems to be falling for her. Can Li Hui Zhen break away from the insecurity that came from once being pretty and open up to the man she truly cares about, or will she forever live in fear because she thinks she once was pretty? Synopsis: Moo Jin-Hyuk (Jang Hyuk) was a popular detective who solved major cases, but after his wife was murdered by a serial killer his life spiraled down. He is filled with guilt that he was not able to protect his wife and he secretly looks for her killer. 2017 is starting off very strong with these dramas which will be airing soon. Which ones will you be watching? Leave a comment below and let me know what you think! Remember to follow me on Facebook, Twitter, and YouTube. Remeber To Keep Calm And Drama On!